One of my favorite steps in my skincare routine is exfoliating. There is something that is so satisfying about sloughing off all of the dead skin, oil, and dirt that has accumulated on my complexion at the end of the day. My skin is very sensitive though, and so I have to be careful about the exfoliants I use (anytime a product contains crushed shells of any kind – case in point, the walnut shells in St. Ives Apricot scrub, my face freaks out). Lately I’ve taken to making my own face scrubs as opposed to buying them and I find that they work just as well and are a lot gentler on the skin. This lemon scrub is my favorite as it is very hydrating but balances the oil production in my skin with astringent lemon juice. It also smells like lemon merengue pie and takes five minutes to make. In fact, you probably have all of the ingredients in your kitchen right now. Here’s how it’s done. Put the sugar and salt in a small bowl and gradually add the oils until you get the consistency you want for your scrub (I like mine to be light and fluffy). Next, split open a vitamin E capsule and stir it into your mixture. Add the vanilla extract and lemon juice and stir until everything is completely mixed. Store in a mason jar or air-tight container. You don’t have to keep it in the fridge as it keeps pretty well for a few weeks, but I do like the feeling of using this mask on my face when it is nice and cold. To Use: Massage onto damp skin in circular motions. Rinse off with cold water and pat dry. 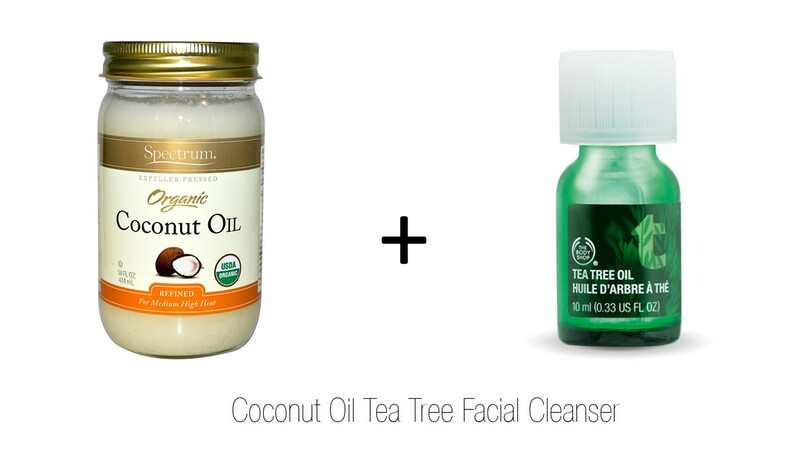 Follow up with your favorite moisturizer or facial oil. So there you have it, easy peasy. 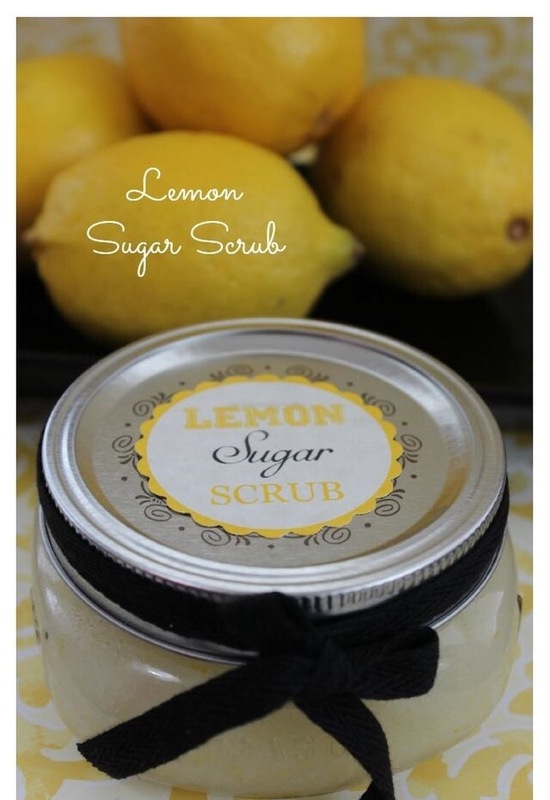 I really love this scrub and find that it is gentle enough to use every other day (and my skin is very sensitive). 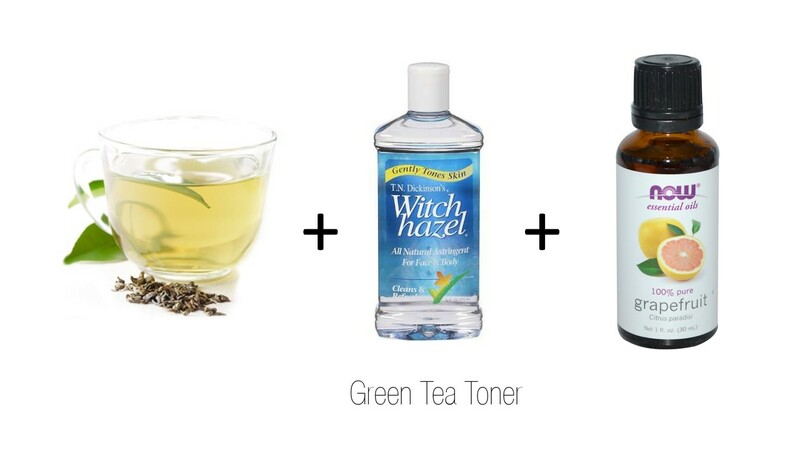 The oils hydrate and protect your skin’s natural barrier while the lemon juice tones and brightens the skin. For those of you that may try it, let me know how you feel about the results! From a 3-ingredient strawberry sorbet to an off-beat illustrator that I found on Instagram, here are few things that have kept me inspired this week. Instagram is an amazing resource when it comes to looking for inspiration in fashion, art, decor, beauty etc. I found Natalie Foss, an artist from Orlo, Norway, while scrolling through my feed. Her style is quirky with a slightly dark, tongue-in-cheek sense of humor. With bright colours and an aesthetic that reminds me of the psychedelic sixties, @natillustration is a must follow. Okay. I have a candle addiction that borderlines on out of control. There’s nothing I love more than unwinding at the end of the day with some scented candles, a good book, music and a bath. I discovered Vancouver Candle Co. by chance when walking into a delightful little boutique in Abbotsford called Montrose and George. With a range of scents inspired by different parts of Vancouver, neighbourhoods like Kitsilano, Fairview, Mount Pleasant and Gastown have been interpreted into different fragrances. I have always had a soft spot for historic Gastown and love the amber, tobacco, and leather scent that truly does evoke images of century old brick buildings and rustically stylish cafes and restaurants. I love icecream. I really do. So much so in fact, that I have started making my own so that my figure doesn’t reflect my addiction to frozen dairy. This recipe is ridiculously easy. All you need is a blender, frozen fruit, sugar, and water (or coconut milk or yogurt depending on your taste). Simply blend and freeze in a container. It really is delicious and if you swap the sugar for stevia it is actually super healthy. While I love the indulgence of getting my nails professionally painted, I rarely take the time to get it done. One reason being that I have a tendency to chip my nails within minutes of getting them done. Luckily, I am pretty good at doing my own nails and have found that with a little bit of googling and tutorials from Youtube, the manicures I give myself are nearly as good (cost free). It’s also a fun way to relax at the end of the day. I typically paint my nails while indulging in a Netflix binge. 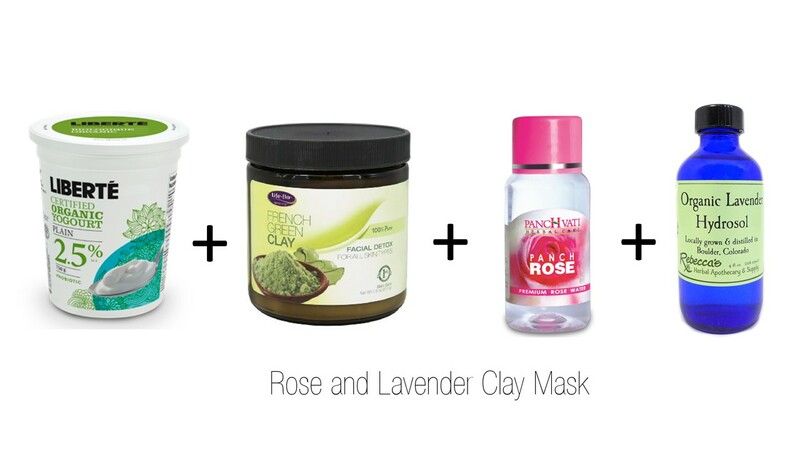 This site has a lot of great tips on how to get salon-worthy nails at home. It’s sometimes said that you are either a shoe person or a handbag person. I definitely fall into the bag lady camp. I once lined up all my purses on my bed and took a picture. I definitely have more bags than I need but I can’t help but fall in love over and over with different brands and styles. ARE Studios, a brand from Los Angeles, makes the most amazing, sleek, minimalistic styles that are perfect for everyday. For drool-worthy arm candy, no one does it better than the brand’s designer Cecilia Bordarampe. However much I may like to pride myself on my organizational skills in other aspects of my life, when it comes to gift shopping, I tend to be more of a “last minute dash to the shops, thirty minutes before I am actually supposed to give the gift” kind of girl. Every year I plan to plan ahead and every year I fail to do so. This lack of gift-buying direction coupled with the fact that I am a still a university student with a fairly modest budget, means that the holiday season, as warm, cozy and magical as it can be, also stresses me right out. One method I have of sticking to my budget while minimizing my stress is to make my own gifts. When one thinks of home made gifts one might think of sticky glue, tacky crafts or misshapen, lumpy scarves. That being said, thanks to the wonders of Pinterest and all of the talented, crafty people out there, there are a ton of different ideas when it comes to making one’s own gifts for the holidays. I have chosen four DIY gift ideas that are very easy and quick to produce (if you had all of the time in the world to painstakingly crochet or craft something out of wood, you wouldn’t be reading this, would you?) but also luxurious and indulgent. From tasty, homemade pickles to a simple yet very personal initial pendant, here are a few gifts you can (cheaply) cross off your list. As a total pickle addict, it blows my mind that I have never before considered making my own. Using any vegetables you like (radishes, carrots, cauliflower, and green tomatoes are my favorite) you can customize each jar based on the recipients preference. Not only is this a easy gift to make (you likely have all of the necessary elements already in your kitchen) but they are absolutely delicious and are beautifully presented in a simple mason jar with a ribbon and sprig of lavender or rosemary. When it comes to gift giving, one thing that I firmly believe it that gifts should be indulgent. When choosing something for another person, I always feel that it is best to pick something that they wouldn’t necessarily choose for themselves, and that they don’t necessarily need but that would bring them pleasure. And surely nothing brings more pleasure then the classic and ever-elegant combination of cheese and wine? Gift baskets are fun to make and are so personal because one can completely tailor the flavors and items to the preferences of the person. Choose a varied but complementary selection of cheeses and wines as the base of your basket. Other nice additions are biscotti, chocolate, gourmet crackers, olives, jams, nuts, and pickles. Perfume is one of the most personal gifts a person can give. Our sense of smell is more powerful than we know or pay homage to and is deeply intertwined with the part of our brain that stores memories. We all link certain smells with memories or people that mean a lot to us. Whether it is the smell of your mother’s perfume or boyfriend’s clothes, or the smell of rain on hot pavement in the summer, no other sense is capable of stirring up as much emotion as our sense of smell. With this in mind, create a custom oil perfume for your loved one with all of the smells that remind you of him or her, or that you know they love. Consider it an olfactory love poem. Using essential oils and a base oil such as jojoba oil, it is not only relatively simple and quick to make, but it is also all natural, meaning that it is more intimate (you can only smell the fragrance when you are hugging the person) and it isn’t as likely to cause a reaction for people who are sensitive to scent. Jewelry is always a classic, relatively fail-proof gift to give. One doesn’t need to worry about fit or sizes (unless it is a ring) and nearly everyone likes jewelry. Jewelry is special, luxurious and meaningful. While not all of us have the skills to recreate the stunning pieces we might see at Tiffanys, with just a bit of chain and sterling silver letter beads (easy to find at bead or craft shops). One could also swap the silver chain and beads for a rose gold or copper hue, depending on the person’s taste. 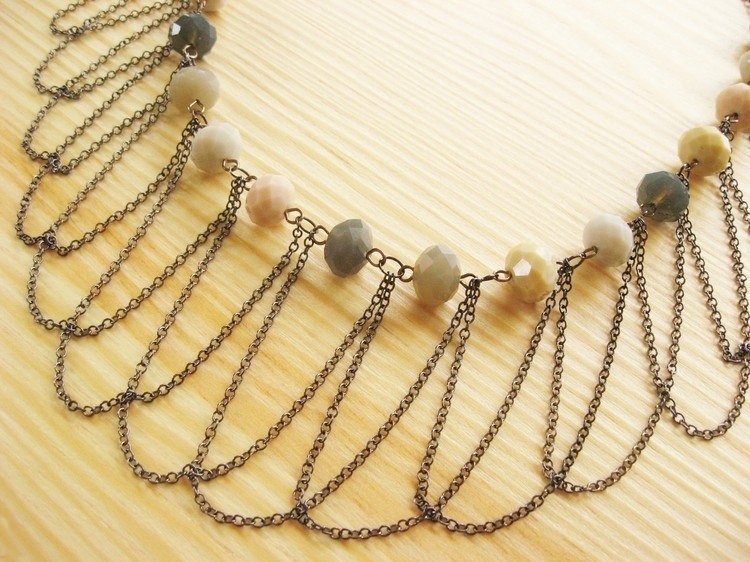 In this way, it is easy to create an ultra-personal, on-trend necklace that looks high-end but is easy on the wallet. Hope you enjoyed these ideas. Do you have any holiday gift DIYs that you love and would like to share? I would love to read about them in the comments as I am always looking for new DIY projects. Happy holidays everyone! Throughout my life I have fantasized about working within a wide range of different fields. Interior design has always been a profession that has fascinated me. The idea of taking an empty, blank space and transforming it into something unique and beautiful is truly inspiring. It’s easy to underestimate the impact a few simple décor changes can have on one’s home and life. Something as small as a coat of paint can completely rejuvenate and change the mood of a space. Anything from quirky objects (such as the gold nugget paperweight pictured here) to stacks of books or a pair of vintage shoes can be used to add a personal element to a room. The living room is a place where I spend a lot of my downtime relaxing and unwinding. For this reason I feel that room would be the place where I would spend the most time and energy. An aqueous colour palette plays tribute to my love for the ocean (my family has a cabin on one of the Gulf Islands and it is truly one of my favorite places on the planet) while the vintage inspired furniture lends a luxurious Marie Antoinette vibe to the room. 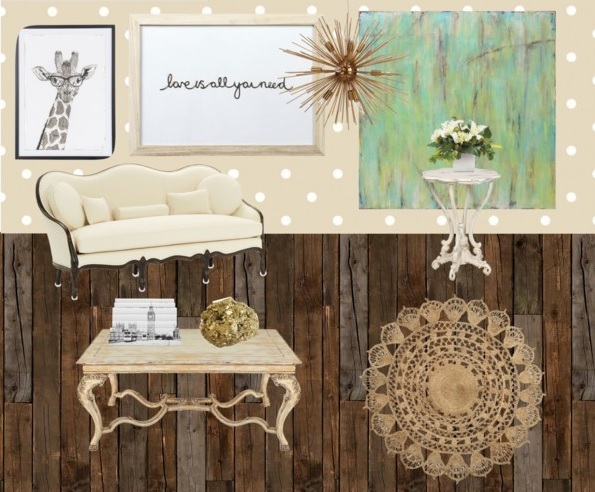 Pale wood, girly polka dotted wallpaper and accents of taupe and fawn help to cultivate a soft and soothing atmosphere. While the items included in this décor plan are high end (aspirational dream items) similar items can be found on a budget. Decorating treasures can be found nearly anywhere – in thrift stores, vintage craft stores, nature, even your own closet or junk drawer. A little bit of imagination and creativity are all that are needed to transform a space, whether it is in a subtle or dramatic way, regardless of one’s budget. What do you think of my dream living room? Any décor tips or budget friendly ideas you would like to share? Please feel free to let me know in the comments! Rachel Dooley of Gemma Redux is one of my all time favorite jewelry designers. There is something about her approach to design that I love and am so inspired by. Raw gemstones, roughly cut crystals, tangled chains and unexpected colour combinations and themes set Dooley apart in an industry that is filled with an endless supply of sameness and cookie-cutter concepts. Having obtained a degree in mechanical engineering and material science, her passion for science, nature and mechanical construction entwine together when it comes to the otherwordly, bohemian line that is Gemma Redux and is uniquely evident in Dooley’s approach to design and her aesthetic. Although I adore her pieces and believe they are more than worth the splurge (crafted out of precious stones and metals, they are truly wearable pieces of art), I also enjoy taking on DIY projects that allow me to get the look of something expensive for less, while giving myself the option to take creative liberties. 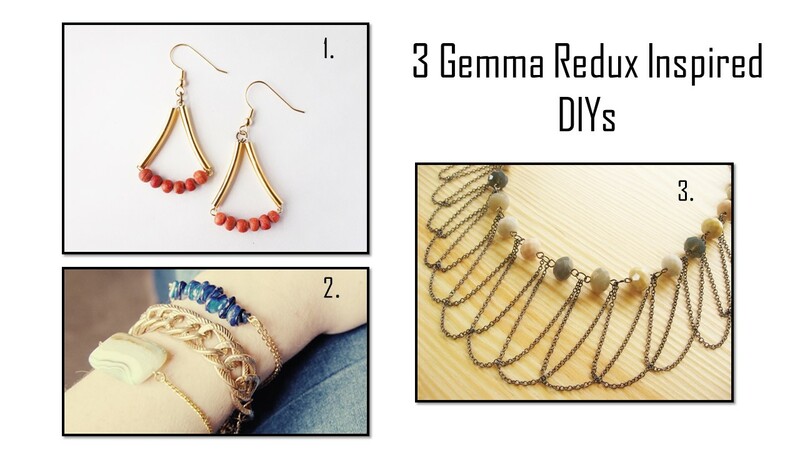 Here are three jewelry DIYs (from a few of my favorite DIY websites) that are reminiscent of iconic Gemma Redux designs. It was the tangled, drapey necklaces dripping with stones and crystals that first led me to fall in love with Gemma Redux. This necklace is surprisingly easy to make and is the perfect statement necklace to pair with either a plain, little black or white dress or to add some boho-esque style to a basic t-shirt and jeans ensemble. Lapis lazuli is one of my favorite semi-precious stones and is used constantly in the Gemma Redux line. 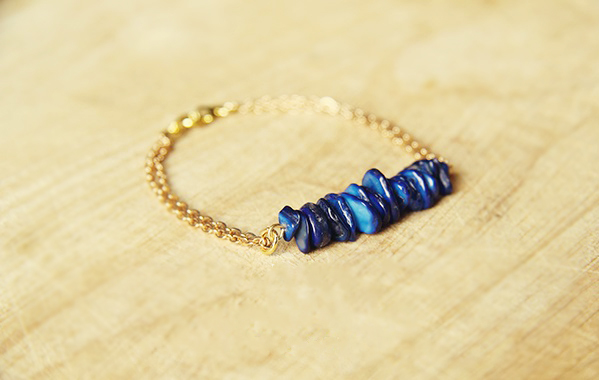 A similar look can be created with faux blue stones, or if you are feeling a little more luxurious, most bead stores will have a selection of true lapis beads. 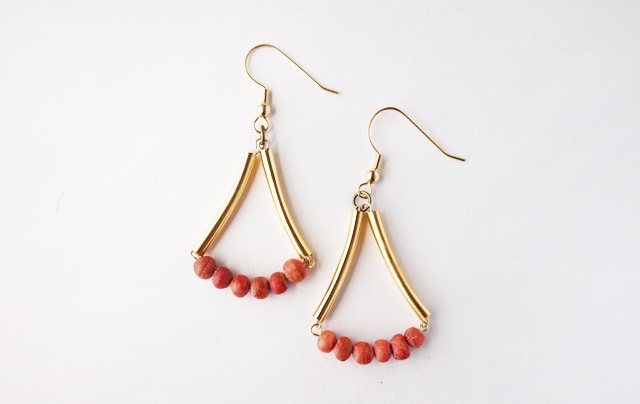 A fun twist on the classic chandelier earrings, these angular, structured earrings will add a little bit of tribal flare to your summer wardrobe. I would use brightly coloured beads, like tangerine, lemon, cobalt or coral like the beads that are pictured here. Have any thoughts or favorite jewelry DIYs I should know about? Feel free to let me know in the comments.